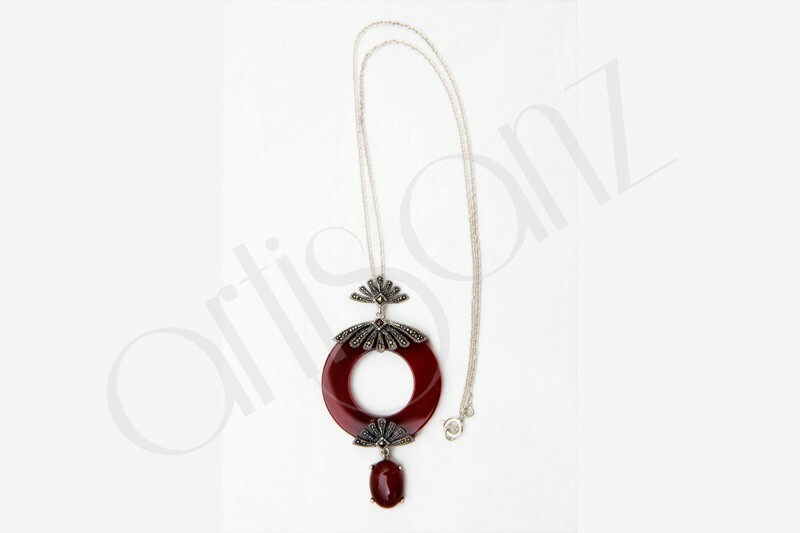 A beautiful traditional style pendant necklace with red agate and marcasite setting embellished with turkish motifs . these traditonal turkish jewelries are really lovely and popular with woman of all ages and therefore make a great gift for mothers & wives. 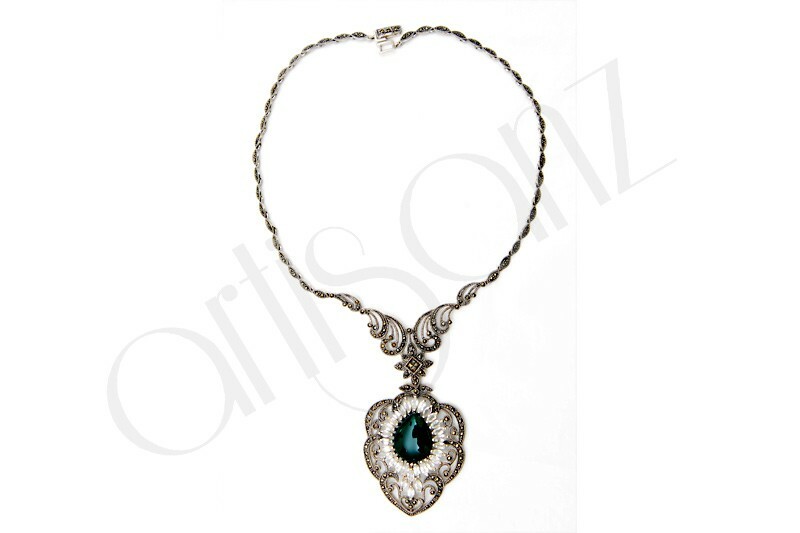 the necklace is light and comfortable to wear. pair of long, unique, turkish earrings textured pattern on the pear shaped portion and series of hanging green agate natural stone with marc site setting and round american daimond mounted on top. 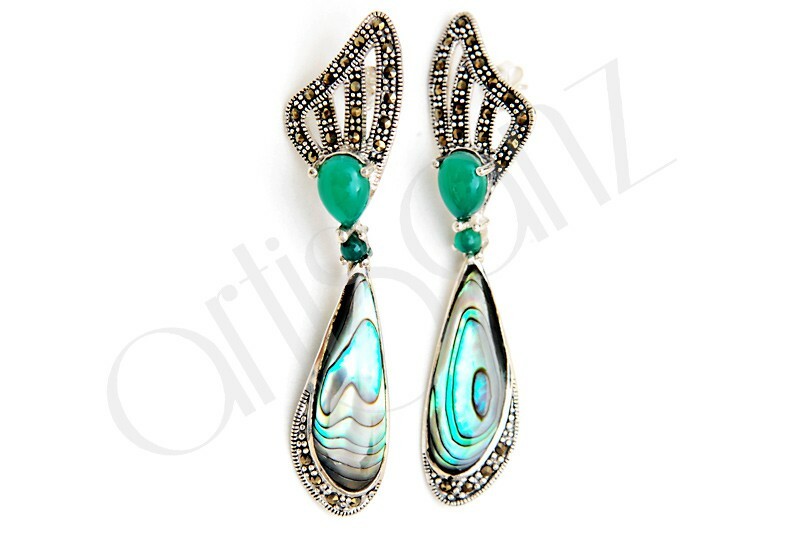 A stunning turkish earring form the 1970s beautiful pear shaped natural abalone and top mounted green agate with marcasite setting. 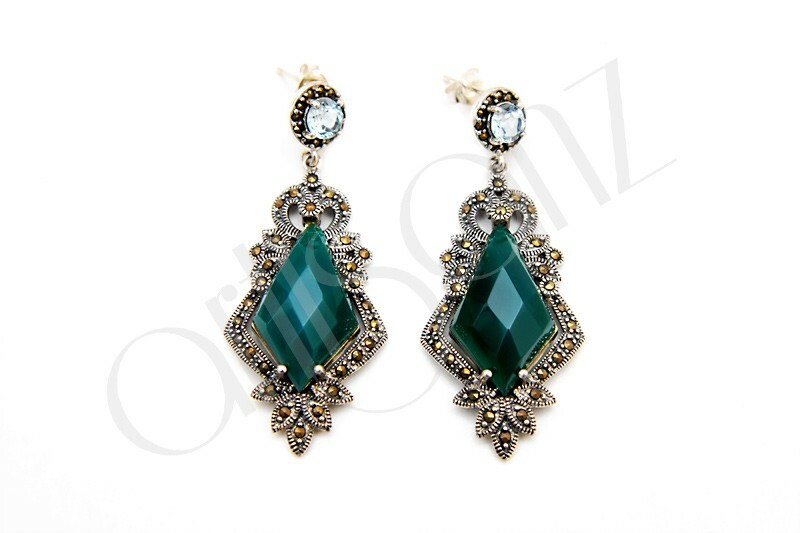 valuable and unique, these earing are true eye catchers. they would look lovely with short or long hair. 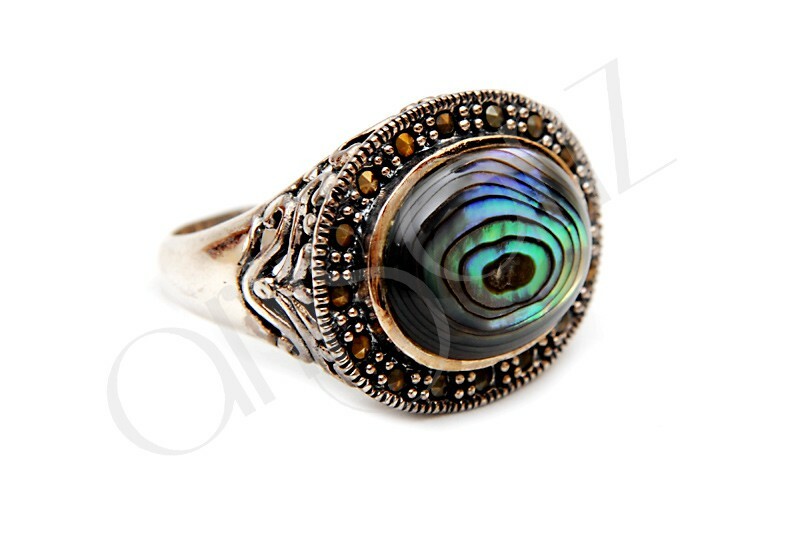 Some of the Finest Examples of gem quality abalone are found in turkey's anatolian mountains, but it could as well be found in numerous places around the globe. a rising star in fine jewelry is easy to fall in love with this sparklingly brilliant, tranquil, and earthly coloured ring. 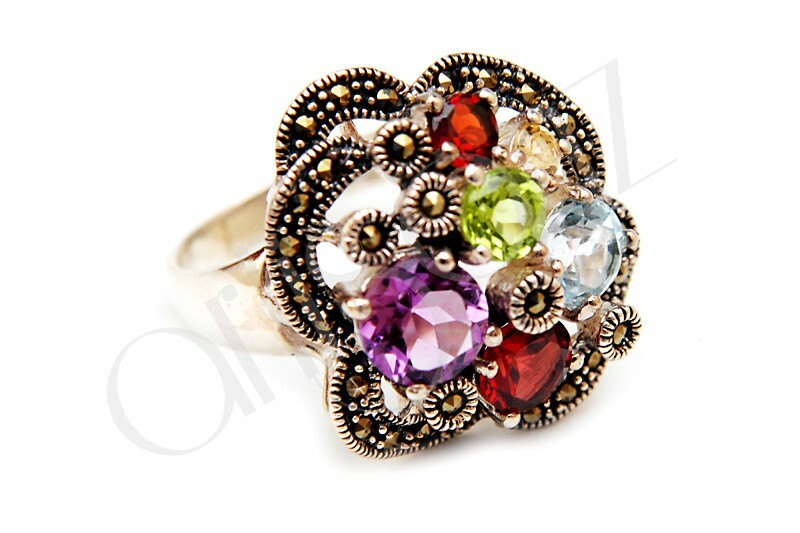 the marcasite setting further enhances its beauty. 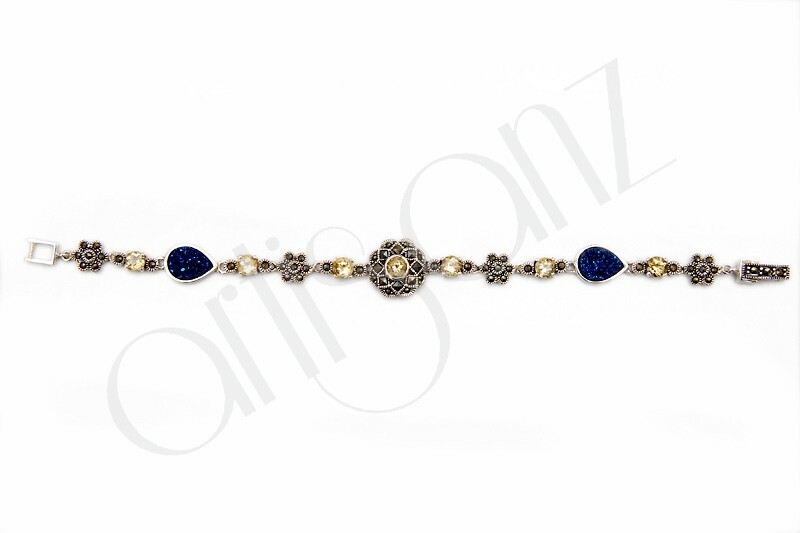 Natural Turkish Bracelet mounted citrine, blue swarovsky crystal, and marcasite flower setting. an extremely delicate and fine gift for occasions. 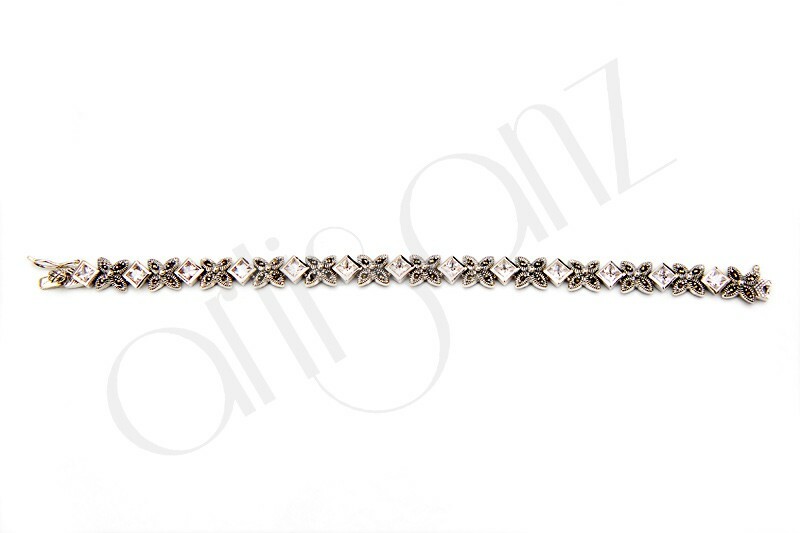 Beautiful Turkish Bracelet mounted with american daimond and marcasite flower setting. a very stylish and perfect addition to your jewelry closet. will complement any outfit .great for stacking, great to wear separately as well.